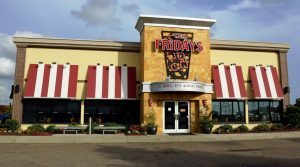 TREK Investment Group is pleased to announce the sale of the former TGI Friday’s in Tyler, TX. Parker Carroll, CCIM represented the seller in the disposition of the 5,946 square foot building situated on 1.217 acres of land. This property is positioned on a hard corner of one of the most highly sought-after intersections in Tyler, directly across from Tyler’s 630,000 square foot Broadway Square Mall. TREK Investment Group is a commercial real estate investment brokerage firm specializing exclusively in leased investments and shopping center sales throughout the United States. Their unique, highly specialized, “Navy SEAL” team approach combines cutting edge technology with 40 years of real estate experience to help their clients reach their investment objectives. TREK is a highly effective, strategic team comprised of the best professionals in the industry. Whether it’s the purchase of your first investment property or the disposition of your entire portfolio, TREK Investment Group will implement a proven strategy tailored to your specific needs. The real estate market is a complex, ever-changing environment and they are committed to being your trusted advisor and one-stop resource for leased investments and shopping center sales. transactions and over 40 years of commercial real estate experience. Their firm exists to guide clients along the path to successful investment opportunities. They want to earn your business; don’t just hire another broker- partner with TREK for long-term investment success. To learn more about TREK Investment Group, please visit www.trekig.com. Follow them on social media Facebook, LinkedIn, and Twitter.